Seemingly, there is a glitch in the Facebook search that enables users to find images of women, but close the doors when asked for images of men. The bizarre bug in Facebook was first spotted by a Belgian security researcher, Inti De Ceukelaire. This Facebook bug exists for every account. 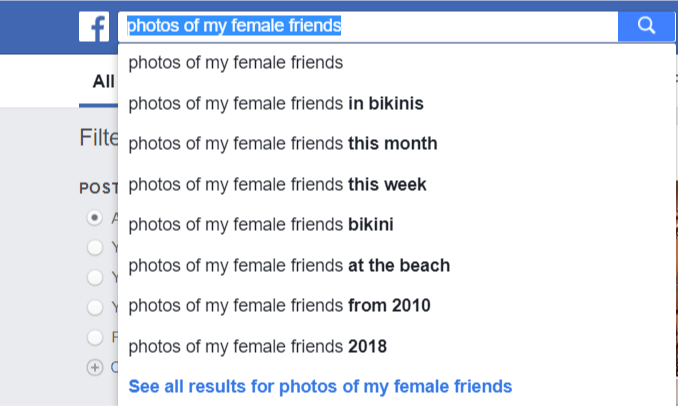 To check it yourself, you can open your Facebook account > Head over to the search > Type “photos of my female friends” > You would now see a group of pictures of female friends. Now, follow the same steps and replace “female” with “male” and Fish! No results. This is probably a glitch in Facebook search where the page considers “male” as a typo error for “female”. However, it still raises an important question, as to why the Facebook page wasn’t optimized for this specific query. Now, there can be a number of underlying reasons such as the search is based on what is being searched frequently. Given the kind of search recommendations seen below, I can pretty much consider this as a possibility. This unsavory glitch is reminiscent of Facebook’s predecessor ‘Facemash,’ created by Mark Zuckerberg to allow Harvard University students to rate their female students based on their physical attractiveness. Even though this glitch looks like an innocent mistake which is quite different from Facemash; being the huge social media company it is, Facebook should look out for such bugs more proactively. Hey Buddy!, I found this information for you: "Facebook Search ‘Glitch’ Exposes Photos Of Women But Not Men". 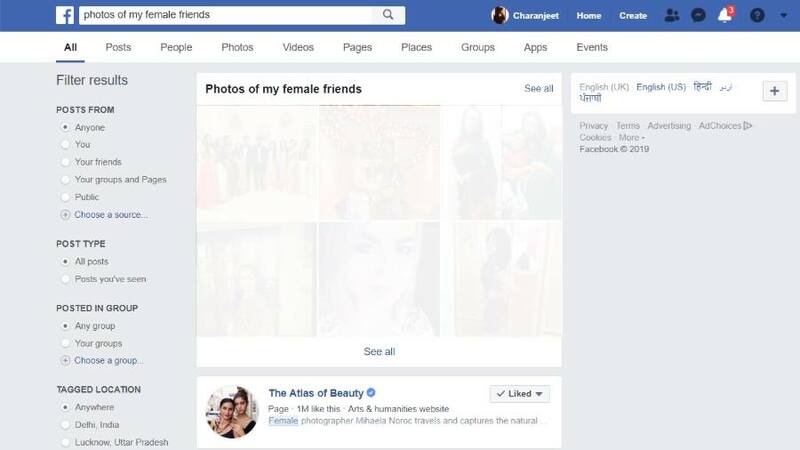 Here is the website link: https://hacknews.co/tech/20190213/facebook-search-glitch-exposes-photos-of-women-but-not-men.html. Thank you.